About 5,000 years ago, Egyptians developed stone construction, according to an article in the Christian Science Monitor. Stone and brick floors began to appear. Soon these floors became works of art as well as a useful surface for the home. Colored tiles created patterns called mosaics across the floor to add beauty to the house. As far back as 3,000 years ago, Greeks created pebble mosaics for their floors. Gradually they began using oblong stone shapes rather than pebbles. This technique was used in ancient France, Spain, Italy, and Northern Europe. During the Roman Empire (27 BC to AD 476) engineers found another advantage of stone floors – heating. They built a small basement with pillars under the floor to support large stone squares. A vent was created at one end of the basement, and a fire was started under the opposite end. The heat and smoke from the fire would heat the stone floor above. Evidence also shows that ceramic tiles were used for floors thousands of years ago. The Romans introduced tilemaking in portions of Western Europe. After the fall of Rome, however, the craft was forgotten for centuries. Tile floors appeared and disappeared. Decorated tiles were used in Turkey, the Middle East, and in the Netherlands during the 1600s. It wasn’t until the mid-1800s that they became popular again throughout Europe. The modern tile industry began in 1843 when Herbert Minton revived tilemaking in England. In Latin and South America, plain, undecorated ceramic tiles were common. Tiles became popular in North America during the late 1500s and flourished until about 1930. The earliest known wood floors came into use during the Middle Ages. At first, rough planks were laid across the floor. Then these were sanded or smoothed by rubbing them with stone or metal. Later, varnishes or stains were applied to help smooth the floor and make it last longer. Stains were also used to add patterns to the floors. Sometimes inlaid patterns were created by carving shapes out of different-colored woods and piecing them together to form patterns, like a puzzle. People also painted patterns and designs on the floor. The oldest known woven rug was discovered in Siberia in the 1940s. Called the Pazyryk carpet, it dates back to about 400 BC. Other evidence suggests that some forms of rug-weaving were used in Egypt, Mesopotamia, and the Middle East and Asia about 4,000 years ago, the Christian Science Monitor article reports. Carpetmaking in China dates back to the Sung Dynasty (AD 960 to 1279). Italian explorer Marco Polo saw some of these works during his travels through China and Turkey in the 1200s. He greatly admired their artistry. The Romans used rugs on the floors and walls of their palaces. They even used them to pay taxes. When Egyptian Queen Cleopatra first met Roman Emperor Julius Caesar, she had herself smuggled in to him rolled up in a giant carpet. Iran (then called Persia) greatly developed the art of rug weaving during the Safavid Dynasty (1502 to 1736). The patterns they developed are still used in rugs around the world. “Persian rugs” are highly valued still. Many of these flooring techniques and materials have survived the test of time and can be found in today’s flooring gallery at Kuhn Flooring. The Boca Raton flooring company offers full service flooring with a variety of materials, styles and types. 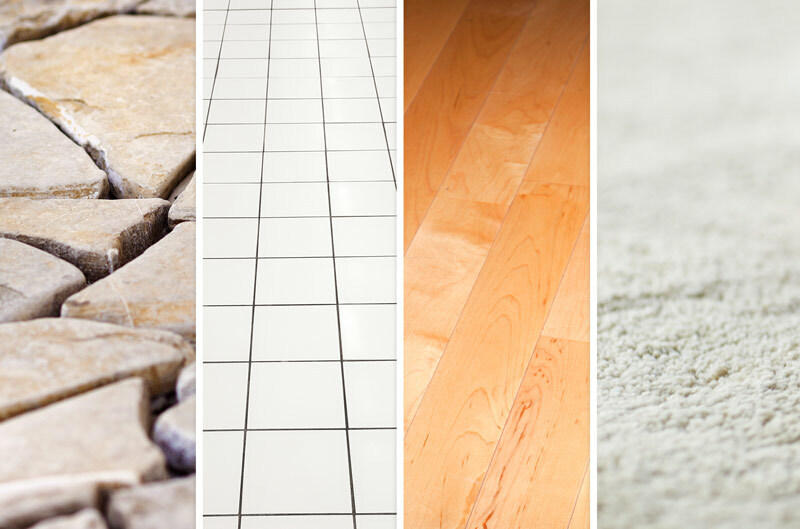 If you’re in the market for Florida flooring, Kuhn Flooring is the place to go.